Historically, a Cucurucho, also known as Capirote (without translation into English), is a pointy hat of conical form. Photos in this page by galasdeguatemala.com, posted with the authorization. 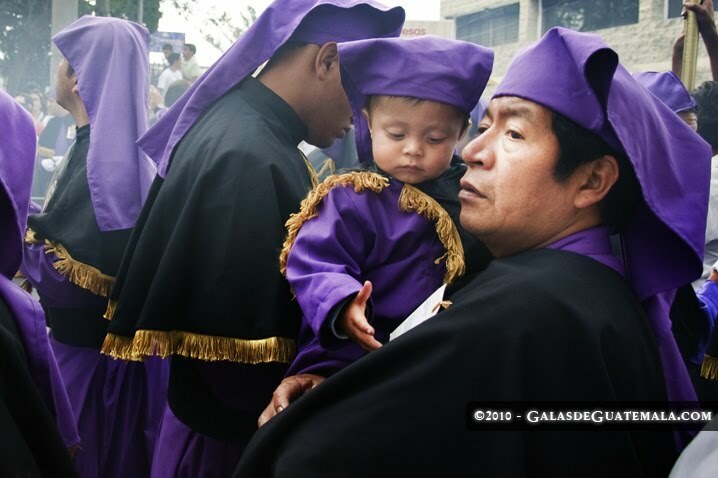 In the popular culture in Guatemala, however, Cucurucho has become the name for the male penitents that carry over their shoulders the processional floats, regardless whether they wear or not such pointy hats. 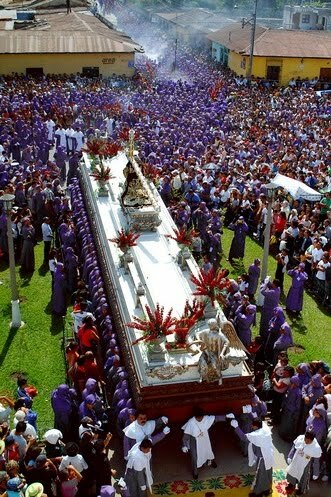 The origin of its incorporation to the Holy Week tradition in several countries of Latin America is uncertain; however, I have read from several sources that it is in representation of the clothes worn by the medieval pilgrims who started visiting the so called Saint Places or Holy Land in the XI Century, particularly during the Crusades, following the route where Jesus lived and preached. Officially, the pilgrim costume was instituted by the Franciscan Order in the XII Century. 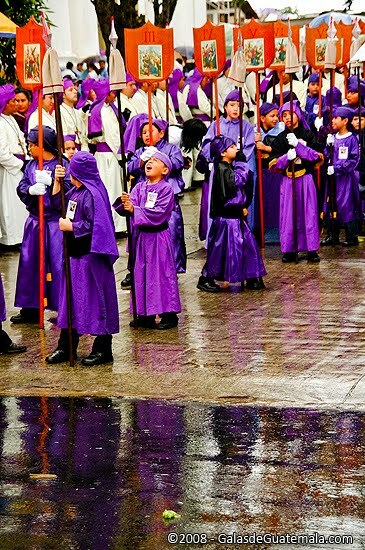 There are records indicating that in Guatemala, the Cucurucho costume was introduced in the Convents around 1550, when the processions were held only within their walls, following the strict rules about colors and symbols according to the Council of Trent. 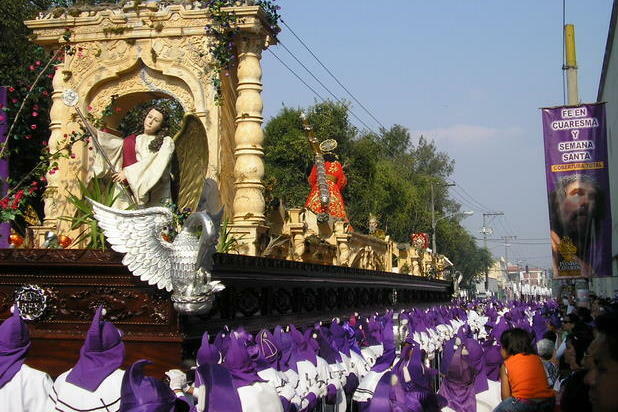 The first news about a procession held outside a convent in Guatemala are from 1596 and published by the Santiago City Council Chronic (in Spanish, Cronica del Ayuntamiento de Santiago). 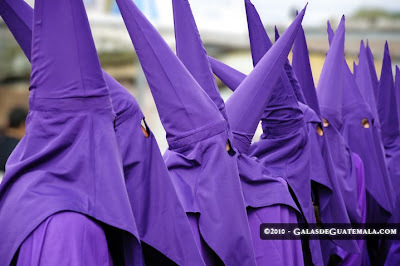 The story relates the procession of Jesus of Candelaria, mentioning the route, the float carried on the penitents' shoulders, all of them wearing Cucuruchos, a purple tunic and a short cape-like over the shoulders, followed by a music band. The Cucurucho costume as can be appreciated today in Guatemala continues to be quite similar to the costume used in the colonial times. 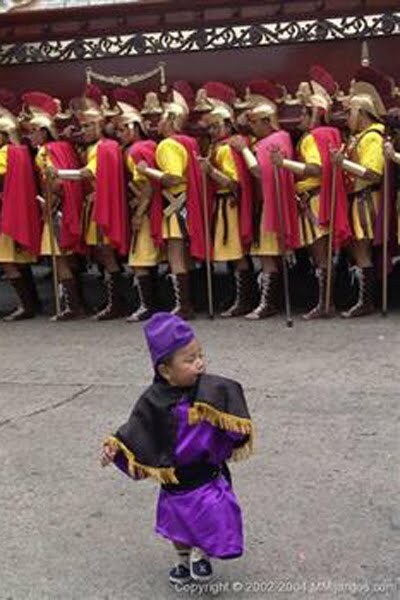 During the whole Lent until the Holy Wednesday, this Cucurucho costume is entirely of purple color. On Maundy Thursday (also known as Holy Thursday) the short cape on the shoulders is white to commemorate the Last Supper and the institution of the Communion. 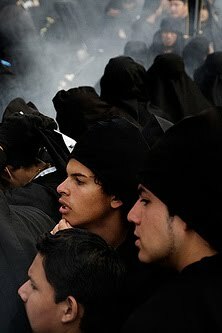 For the Good Friday processions the Cucuruchos suits are black, as a symbol of mourning. In the Catholic history of Guatemala, the use of the white short cape, mainly for the Jesus of Candelaria Cofradia / Brotherhood, is very important because it was a special privilege granted by the Pope Benedict XIV in 1597.